Can you find the reindeer in the garden? 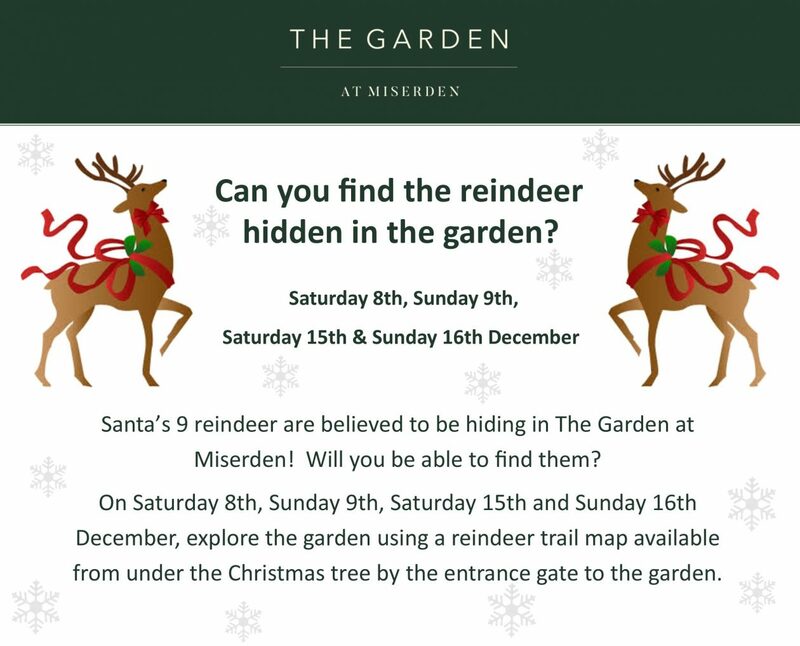 Santa’s 9 reindeer are believed to be hiding in The Garden at Miserden! Will you be able to find them? 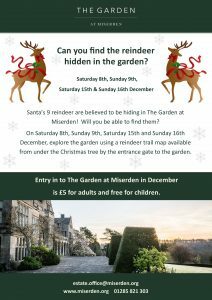 On Saturday 8th, Sunday 9th, Saturday 15th and Sunday 16th December, explore the garden using a reindeer trail map available from under the Christmas tree by the entrance gate to the garden. adults and free for children. Please purchase your garden entrance tickets from the Nursery at Miserden’s sales shed.